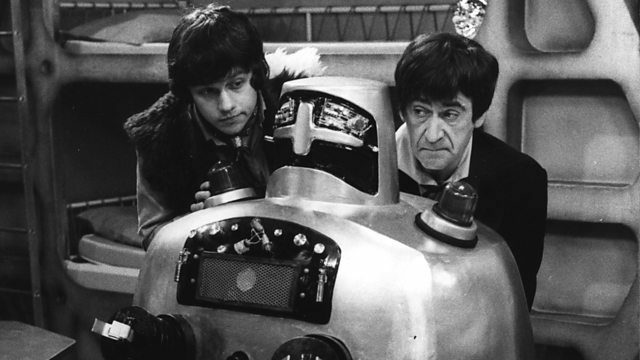 Sometimes I get quite sad about just how much of the Troughton era is still missing. It makes for lots of celebration when bits and pieces are found, I grant you, and maybe it makes us appreciate them more. I don’t know. I suppose if they were all still there intact and readily available on DVD, then there would be something less magical about them. That’s sort of how it seemed to work out with Tomb of the Cybermen. They found the whole thing, intact, and praised it as being the definitive Second Doctor story. Until we all watched it again. Then the reviews were suddenly a bit mixed. The magic was gone, or at least some of it. I’m not sure that happened with stories like The Enemy of the World or The Web of Fear. Personally, I’d call either one of those stories much more definitive than Tomb of the Cybermen. But then again, lots of people probably don’t analyze everything to death the way I do either. After re-watching Tomb of the Cybermen again so recently (with mixed feelings), I went into The Wheel in Space with some trepidation. I’d never actually seen (or in this case, heard) the story before. I knew vaguely what it was about, and I’d seen about a thirty second clip some years ago, but I’d never consumed the entire story in any format. Unfortunately, most of it is missing. Parts 3 and 6 still exist, but for the rest, only the audio survives. 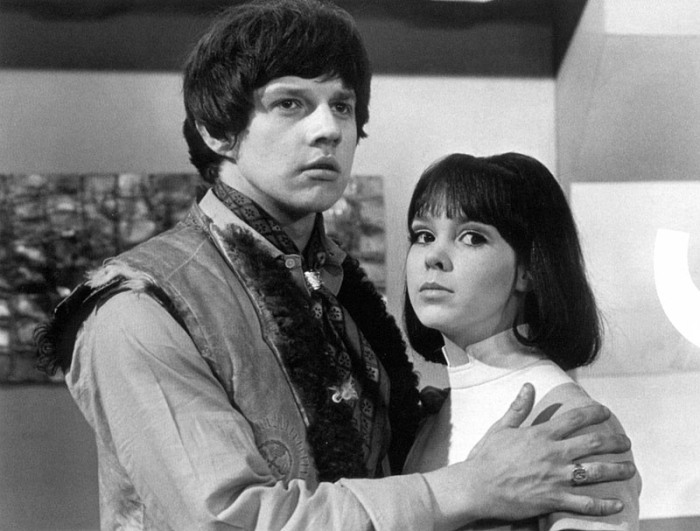 Thankfully, like so many others, the BBC made it into a radio play, with linking narration provided by Wendy Padbury (Zoe). After much internal debate, I finally broke down and bought it on iTunes. And in spite of what I’m about to say, I’m glad I did. I’ll say up front that this is not my favorite Cybermen story. I thought it would be, going into it. 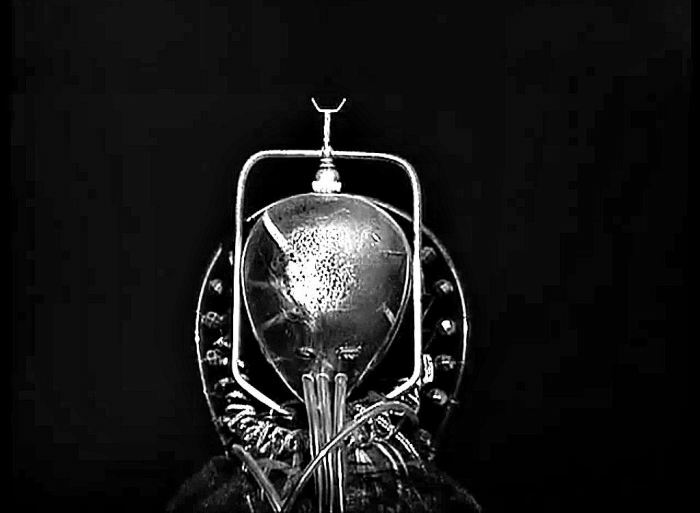 It’s got all the things I like: the Second Doctor, Jamie, The “Tin Men from Hell” Cybermen, a base under siege, cybermats, a frankly fantastic servo robot, and it introduces Zoe, whom I adore. It even goes the extra mile and features a woman (Gemma) who is basically running the show (because Jarvis is both insane and completely pointless). Gemma is awesome, which is probably why they killed her off. I could’ve done with more Gemma and less of just about everyone else. 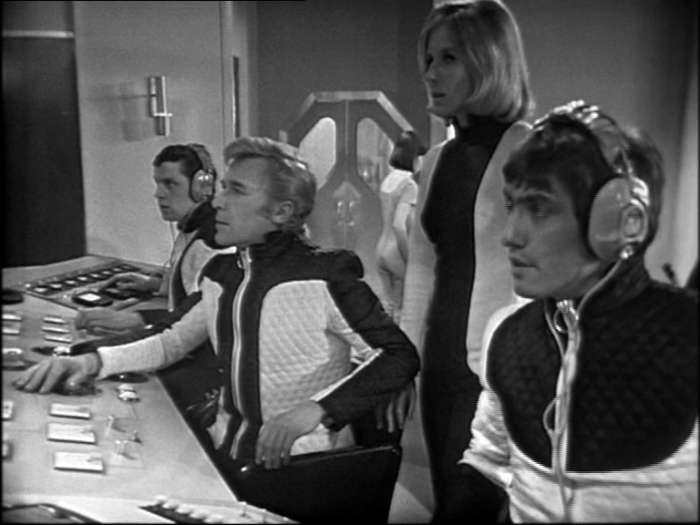 The cast seemed excessively large in this one, not unlike Tomb of the Cybermen. There are too many “token” characters and it’s difficult to keep track of (read: pretend to be remotely interested in) the majority of them. The plot, overall, I don’t think is a bad one. To me, it just comes across as a script that maybe wasn’t quite finished yet. It’s like it came time to shoot and they just said, “Okay, yeah. That’ll do. Get on with it.” It’s messy, it’s too long, and the Doctor doesn’t really do anything useful or significant until the end of Episode 4. I’m sorry, but that is not the correct use of Patrick Troughton. Thankfully we do get one of those great Second Doctor lines out of it. The upside to a downplayed Doctor though, is that Jamie gets a bit more to do, and we get a good introduction to Zoe. We get to know her quite well before she’s even stepped one foot on the TARDIS, and I was pretty gutted when Jamie was so eager to stop her coming with them. Those elements do give us a good feel for how their relationship will develop during the rest of their run. It has to be said though, that the story seems to focus more on the crew of the Wheel (Zoe aside) than anything else. On the one hand, this did give us a bit more character development for everyone who wasn’t the Doctor or a companion, which I whole-heartedly approve of, but it felt forced and came at the expense of the story, I felt. And that irritates me. Surely there could’ve been some happy medium in there somewhere. It feels like lazy writing to me. Don’t get me wrong, though, there are good things about The Wheel in Space. Or at the very least, things that I found hilarious. I love that servo robot. 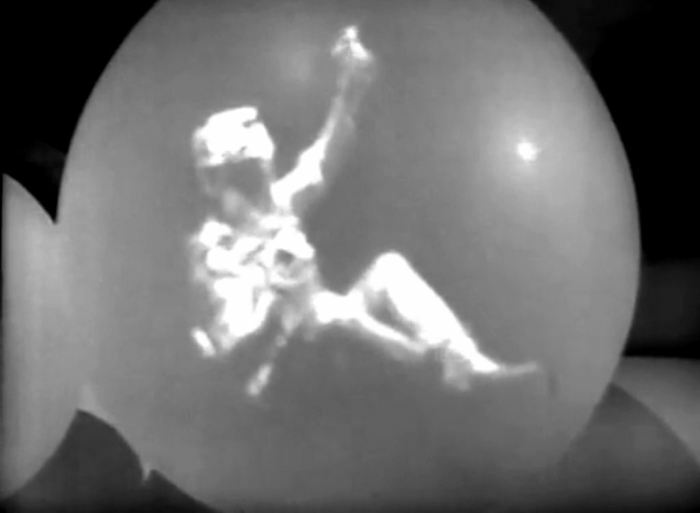 It’s probably one of the most charming creations of 1960s Doctor Who. It looks fantastic, doesn’t it? I also think the Cyber-Planner looks quite good. This is the first time we’ve really seen it (though the version we see next in The Invasion is technically an earlier version than this one), and it does have an eerie sort of vibe about it. Experimental though it may have been, it works for me. I appreciate the reappearance of the cybermats* as well. I love those little buggers. Creepy though they were, the cybermites of today’s Doctor Who just don’t do it for me, nor did the revamped cybermat from Closing Time. And don’t get me started on the enormous leaping cybermats in Revenge of the Cybermen now because I’m saving that rant for later. 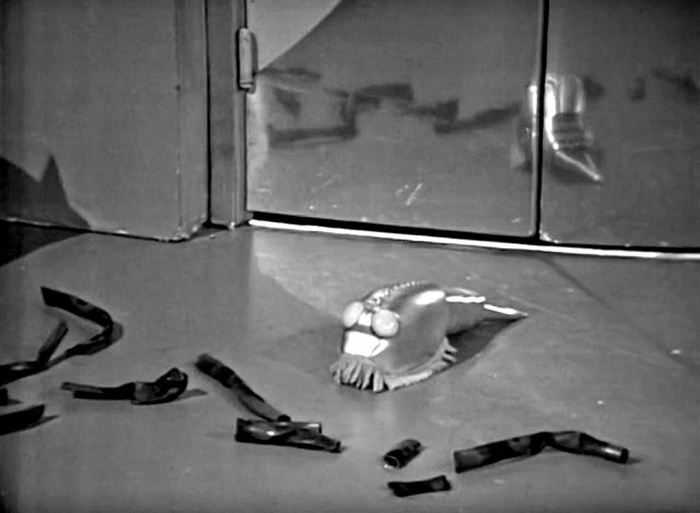 The ones from Tomb of the Cybermen will probably always be my favorites because they just look fantastic in all their unbelievable and adorable combination silverfish + floor-polisher charm. They get a bit of an upgrade in Wheel with nifty little glowy crystal eyes. But most of all, in the realm of the hilarious, can we talk about the Cyber-eggs? I don’t really know what else to call them, but I genuinely wonder if they were meant to be funny or if that was another adventure in experimentation. Because, well you can see the result. I love this for all the wrong reasons, I suppose. In the midst of a story that sometimes feels like trudging through treacle, we get this little gem. A brilliant plan to sneak aboard the Wheel, yes. A convincing execution, not so much. Maybe if they hadn’t done that bit of interpretive dance before they hatched out, it might’ve been a different story. Just when it seems this story will never ever end, things finally do start to happen. The pace moves a bit quicker and become a bit more exciting, including one of the greatest line fluffs in the history of the show. I believe the word he’s meant to be groping for there is sectional. 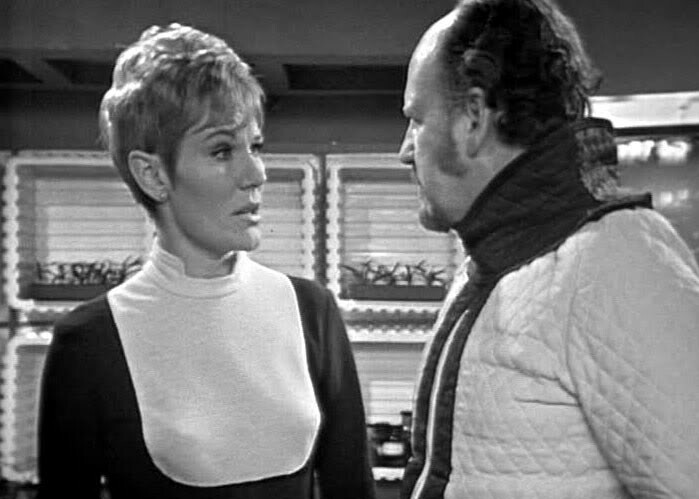 Anyway, once Gemma is killed and the Doctor confronts the Cybermen, things really pick up. I like a ‘race to the finish’ sort of ending to my base-under-siege stories. I like suspense, and this (compared to the rest of the story, anyway) delivers. 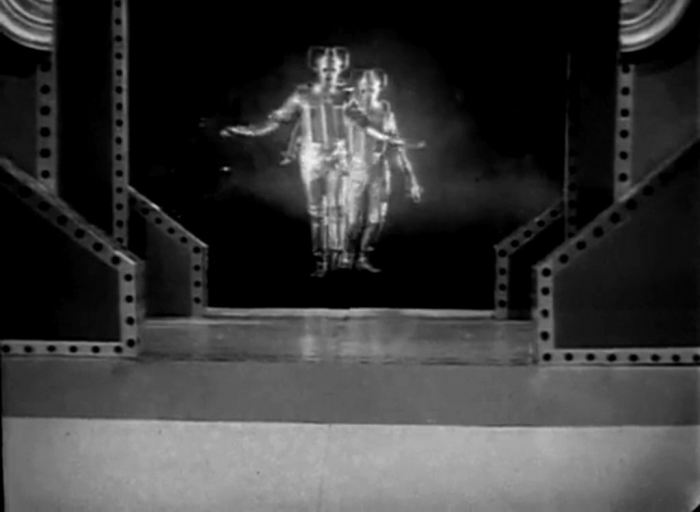 And if you can manage to ignore the Cybermen cardboard cutouts blowing away at the end, it’s even better. Not quite as funny as the ending of The Moonbase, I think, but damn close. 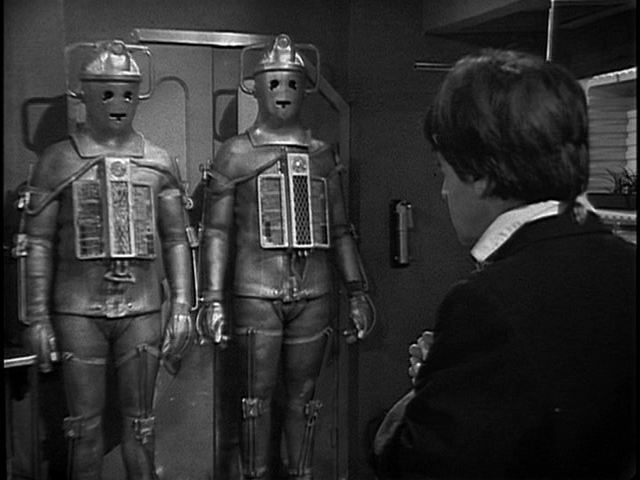 Again, this isn’t my favorite Cybermen story, but I’ll gladly take this over the Cybermen of the RTD era any day. But what do you think? Have you listened to the radio play? Have you watched the surviving episodes? Maybe the Cyber-eggs totally do it for you. Or maybe yesteryear’s Cybermats just can’t compete with today’s Cybermites. Should Gemma have been a companion? I’d love to know what you think! * The Doctor Who Site has a nifty little guide to the evolution of the Cybermats. Check it out if you’re into that sort of thing.